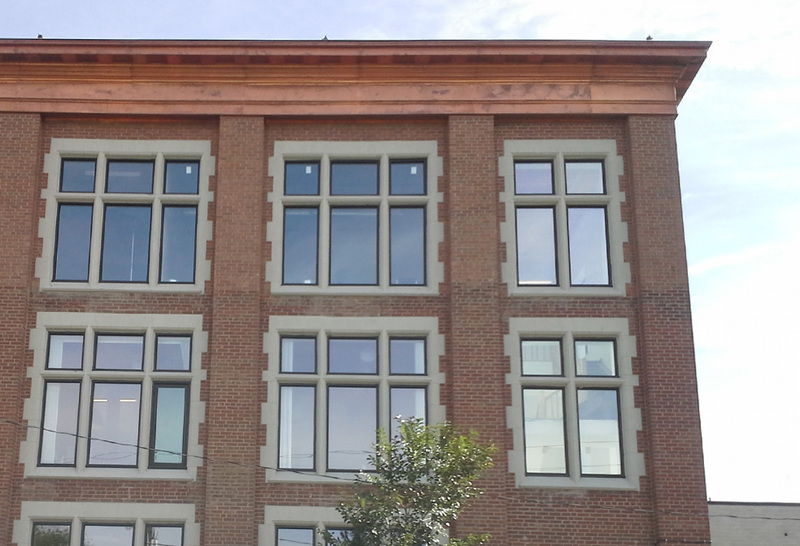 Why Choose Us?Why Choose Us? 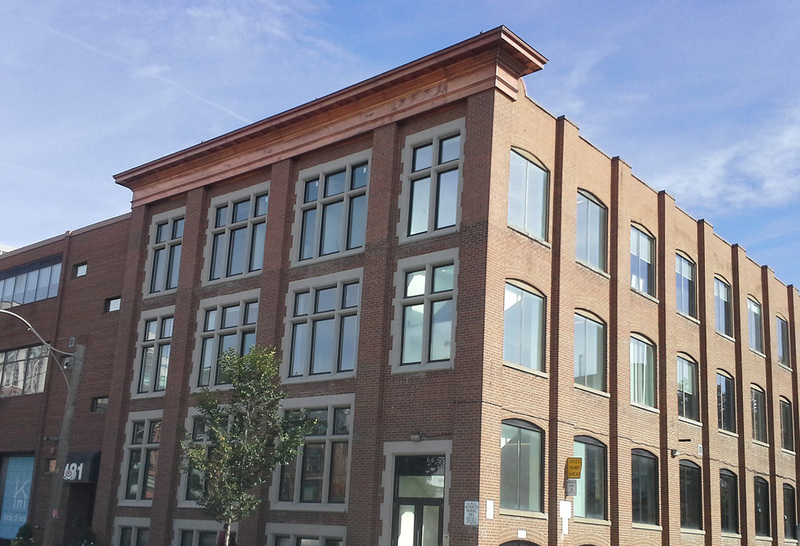 Heather & Little participated in the cornice restoration of a 1920s 5-storey office building located in midtown Toronto. 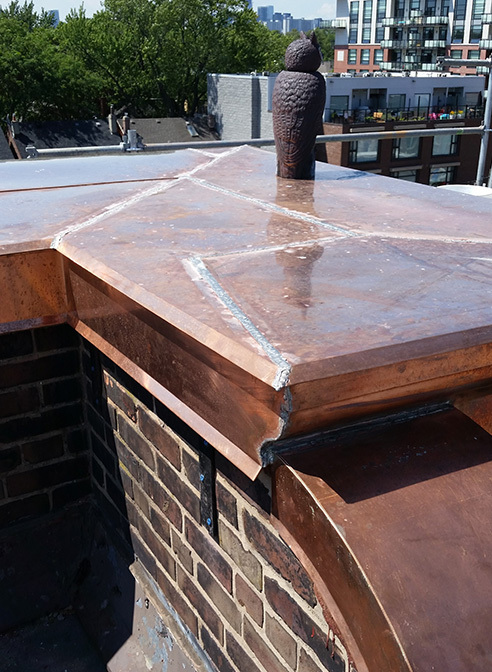 We were tasked by the owners of this privately owned office building to remove the original decorative galvanized sheet metal cornice and to completely rebuild and replace it with an entirely new, custom made copper cornice. Working directly with the owner we went through a series of sample mock-ups to derive at a final design for the new cornice. 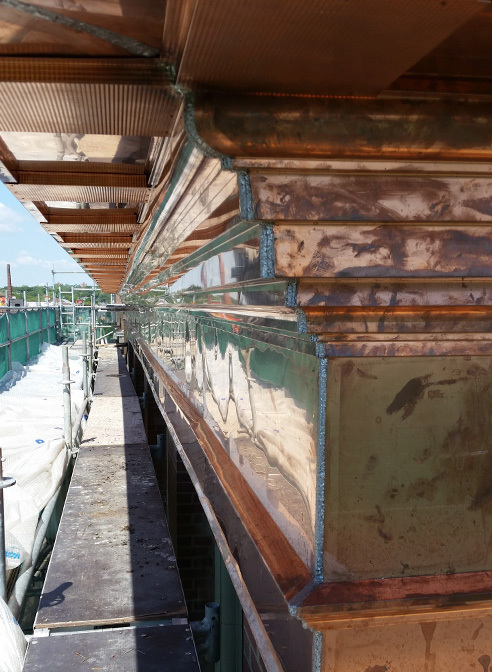 Once approved 16-ounce sheet copper was substituted for the old galvanized iron to recreate the new copper cornice and restore this building to its former beauty. 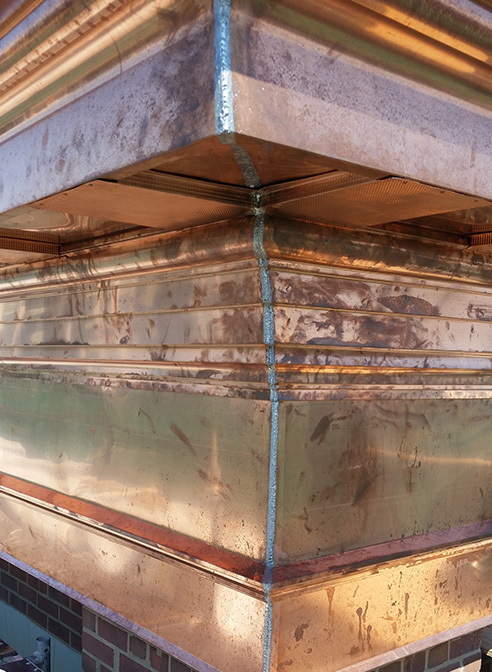 For more information on this sheet metal cornice project, please browse the photos below, or get in touch with a member of the Heather & Little team.